Glocomms is a leading recruiter in the Technology space; with expert consultants trained in delivering exceptional talent to across Cybersecurity, Cloud & Infrastructure, Artificial Intelligence, Engineering, and ERP/ CRM. Glocomms exists to enable technology-driven careers. Each and every day, we play our part in advancing the emerging technology industry by working with smart people with choices to contribute to cutting-edge technology for our clients. We believe, through our existing network and our ability to leverage our scientifically-driven recruitment model, we are able to deliver exceptional talent to our clients with both speed and accuracy. 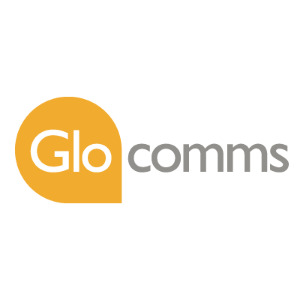 Glocomms has micro-specialist teams that focus on the delivery of candidates across the technical and commercial spectrum. Each consultant has a deep understanding of the fast-changing ecosystem, allowing us not only to find talent but deliver valuable market knowledge and Intel. We offer Executive Search, Exclusive Contingency and Project Based Contract Recruitment, with a presence across London, Europe, APAC and USA. Key areas of focus include Cybersecurity, Cloud & Infrastructure, Artificial Intelligence, Big Data & Analytics, Engineering, and ERP/ CRM.